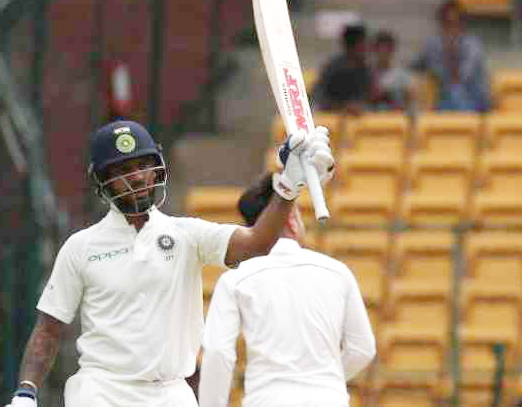 Daily Excelsior – BENGALURU : Shikhar Dhawan today became the first Indian player to score a century in Test cricket before lunch, joining an esteemed list of former cricketers, including the legendary Don Bradman. Last year, Australia’s dashing opener David Warner scored 100 not out before lunch against Pakistan. It was Dhawan’s 7th Test century in 30 matches.